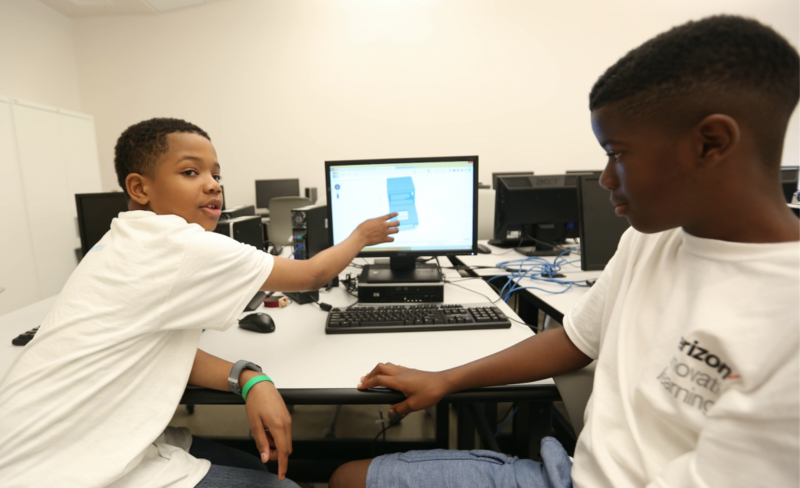 Agent Double OO7 from the James Bond film franchise was the catalyst for eighth-grader Ephraim Hill joining Jackson State University’s Verizon Innovative Learning Minority Male program. Funded by a two-year grant from the Verizon Foundation, the program exposes young men, from Grades 6-8, to Science, Technology, Engineering and Mathematics (STEM) disciplines. The primary goal of the initiative is to increase the number of minority leaders in emerging technology trends. Hill, who plans to get a degree in computer engineering, overheard his classmates at Blackburn Middle School talking about flying drones in the STEM summer program, and he asked how he could get involved. “I got started last year, and this is my second year in the program,” he exclaimed. The first 2017 summer session, June 5-16, was designed for new participants who learned app development and 3D printing. From June 19-30 advanced programming was provided for returning participants, like Hill, which included coding, robotics and drones. During the year, students spend one Saturday a month continuing what they learned over the summer. Attendance has grown from 83 participants in 2016 to 112 students this year with 12 young men returning from the previous year. “The program is wonderful. It really gets them hooked into STEM,” said Dr. Kamal S. Ali, chair of JSU’s Department of Industrial Systems and Technology. The kids were so technologically advanced, according to Ali, they finished the entire two-week curriculum within one week. “We had to redo the curriculum and expand it,” he explained. Ali called the participants “very good” and agreed that the younger kids are more computer savvy than previous generations. “You have to give them a lot more challenging content,” he admitted. 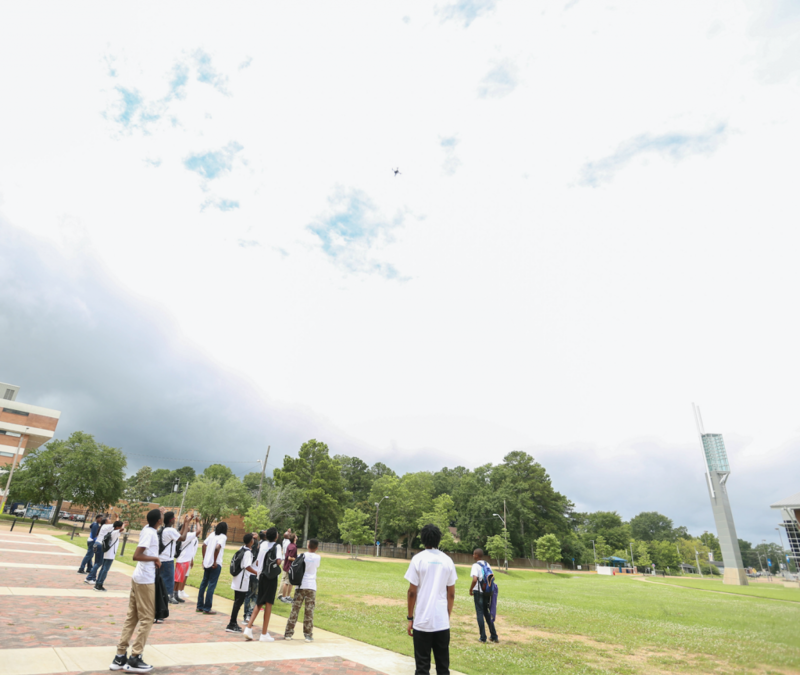 One of the activities presented to the students was a drone-flying competition that took place on Thursday, June 29, the day before the second summer session ended. Students were separated into four teams in the courtyard of the JSU engineering building. Each team was given a tablet that they used to create a flight plan from takeoff to landing. The drone would take pictures of the journey, and the team with the best pictures would be declared the winner. Ravion Lightfoot of Bailey APAC Middle School said that he heard about the program from friends on his soccer team and was immediately taken with the engineering component. “They were going to teach us how to make apps, and I was interested in learning how to do that,” said the 12-year-old. However, apps were not the only thing that Lightfoot learned to create. He and his project mate, Kevonta Jefferson, an eighth-grader at Blackburn Middle School, built a small robot that maneuvered like a remote control car, with the assistance of their professor. As they described how they constructed the robot, it was evident that the program had made an impression on the youth. 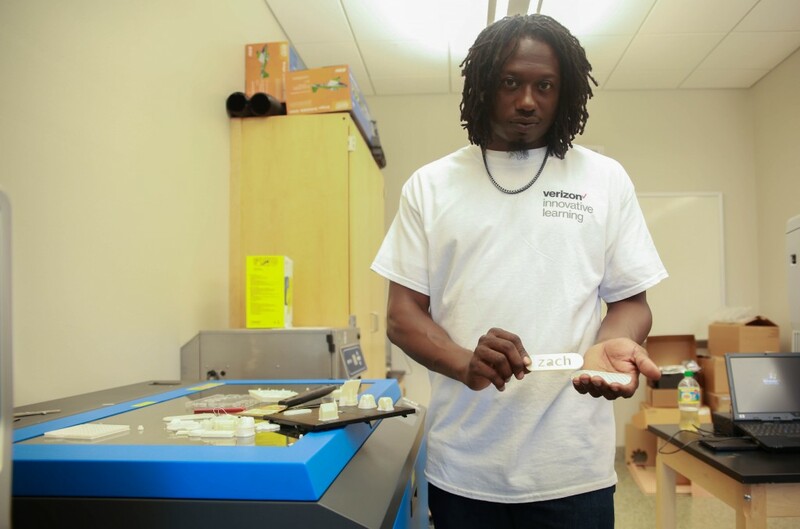 Lightfoot, who wants to be a pilot, said that engineering could help him build his own plane one day. As a middle school liaison for the program, Jackson State doctoral student Kendrick Walker affirmed his love for teaching and Big Data. He pointed out that the program not only offers cutting-edge training but also instruction in character development and entrepreneurship. “I wish I had been taught that when I was their age. So, these young men don’t even realize the tools they’re being endowed with, and they’ll be ahead of their time when it comes to high school and even collegiate work,” said Walker, who also serves as an adjunct physics professor at the university. While seated in a computer lab, Olde Towne Middle School sixth-grader Steven Wansley said that his parents learned about the program via the Internet. “I’ve been on computers a lot looking for something to invent, and I’ve always wanted to be an entrepreneur,” said the 10-year-old. Through the assistance of 3D imaging, Wansley and his schoolmate, Joshua Good, created a car design that they hope to submit to Nissan North America in Canton. “It’s a hybrid car that runs on wind power and gasoline,” Wansley said. Making sure the car was climate-friendly was important to Good, who said, “I feel that most of the bad weather is caused due to the pollutants that are in the air. It (the car) stores wind in the generator; the wind turbine is collecting the wind while you’re driving. Wearing a constant smile, Wansley conveyed that the idea is for the car to be able to travel long distances without having to recharge it or refuel on fossil fuels. He asserted that the vehicle would be available for purchase by the time he graduated from middle school, but he was not interested in the assembly process. “I want to design cars, but I’ll leave the building up to the experts.” He laughed. Melissa Moore, an analyst at Nissan, revealed that she was relieved she did not miss the registration deadline for her 11-year-old son Dillon Massey, who is a newcomer to the program. “Dillon is a tech person. His favorite subject in school is science,” she explained. Moore disclosed that Massey seemed indifferent when she initially told him about the initiative, but after participating it appears her son has had a change of heart. “He was saying that he wanted to be a doctor or a gamer, but now he is saying that he intends to be an engineer, so we shall see about that,” she said. 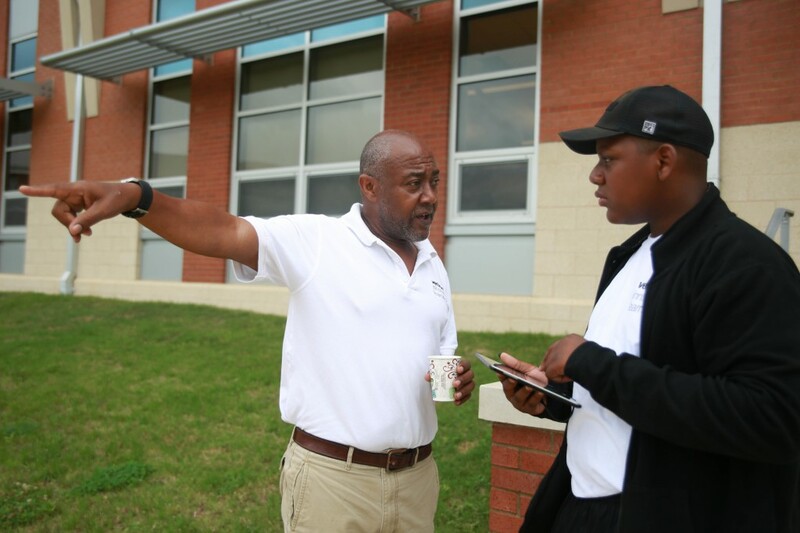 Dina Smith-Walker, a middle school liaison, declared her most memorable moments of the summer were observing the young men absorb STEM instruction. “You can see the lightbulb turn on when you watch the students learn how to develop their own apps. To hear their ideas, and when they understand how they can take their apps, apply them in daily life, and make society better is awesome,” she said.